Crimcast is a virtual resource devoted to critical conversations about criminology and criminal justice issues. Our blogposts, twitter feeds, podcasts and other content provide an overview of trends, research, commentary and events of interest to criminal justice practitioners, academics and the general public. CrimCast is sponsored by The Center for Crime and Popular Culture, St. Francis College, Brooklyn, NY. There has been debate over recent years about whether or not it is acceptable or effective to give custodial sentences to children and young people under the age of 18. Earlier this month I had the privilege to visit East Moor which is a local Secure Children’s Centre and only one of twelve in the United Kingdom. The visit taught me a lot about children in custody and it was completely not what I had expected. The site at East Moor is unique in Europe due to the fact that it has three custodial centres from past to future all on the same site. There is an old reformatory from the 1800s still present very close to the current centre which was built in the 1970s and refurbished in 1997, although it is not in use anymore but it gives us an insight into the history of custodial centres for young people. As well as this, they are presently in the process of building a brand new centre for September 2014 which will house both boys and girls and be an improvement on the facilities in use today. One thing that was mentioned that was significantly negative was the presence of pillars throughout some of the communal areas which meant that the children were not always visible to the members of staff, and they said that pillars would not be built into the new facility for this reason. East Moor is a male only centre and has a school on site that teaches things from Maths to Design Technology and Art. The classes tend to be with two teachers/members of staff and usually two pupils but no more than four at a time. The centre has incident alarms that can be set off by any member of staff by something attached to their belt at any time, and this was set off during our visit – it is certainly an effective alarm sound! This is so that the members of staff can sound this if any incident happens that means that they require assistance or presence of another member of staff. The centre has both a new and old ‘block’ in which the bedrooms are situated, and part of the old block is not in use at all except for one room which is used as a segregation room when needed. The average length of stay at East Moor in 2013/14 was 107 days for a detention or training order, 42 days for remands, and 353 days for those serving long term sentences. In the past few years there has been a decline in youth custody and this is partially due to judges becoming more comfortable with giving community options to the young offenders, and at East Moor they have seen a decline in the amount of offenders staying there which is why the new centre will have even less bedrooms. As a last resort if no other options have worked when a crime has been committed. Breach of an Anti-Social Behaviour Order. Access to education which they may not have outside. To encourage attitudinal change and not behavioural which should prevent reoffending. To give them positive role models and influences which they may not have outside. Imprisonment may damage children both emotionally and psychologically. Mental health issues – imprisonment could make these worse. They are held too far away from family home and society. Centres not always a good enough standard according to Ofsted and HMP. Bad to put kids together – may be bad influences on each other. Violence from other children and also possibly staff. Short lengths of sentences are more damaging for the child and not long enough to help. Criminal record could mean they cannot get jobs in the future. Suicide rates can be high in custody. There are many alternatives for locking children up in these kind of custodial sentences. These alternatives will be for their own good and the good of their families as well as saving the government a lot of money as places at East Moor can cost between £200k and £220k per person per annum. Some of the alternatives have focus on the families as well as the offender themselves in order to tackle the cause of offending as the family often have an influence on this. 90% of the admissions to East Moor in the past three years have a family history of reoffending and 39% of admissions to custody had been on the child protection register or had experienced harm, abuse or neglect. Counselling for both children and their families. Preventative methods e.gg youth centres. Don’t prosecute them in the first place – is our criminal age of responsibility right? Community penalties e.g. litter picking. Tags – cheaper and less emotionally and psychologically harming. What do you think about locking children up? 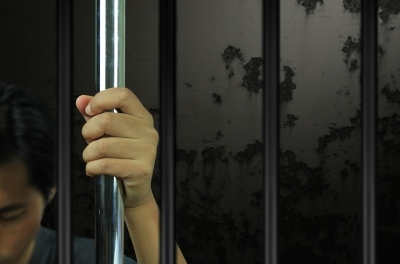 Do you think that custodial sentences for children and young people are a good or bad thing? What do you think should happen in the future?